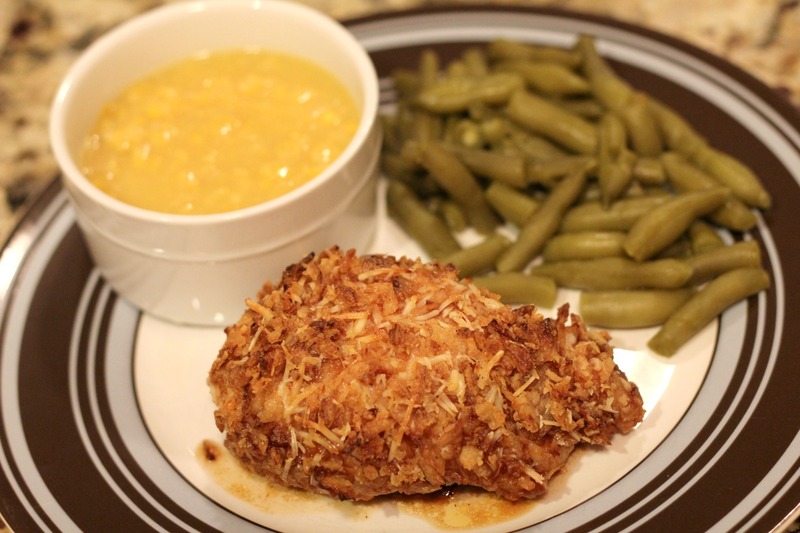 Get ready for a delicious, albeit slightly unusual, way to fix chicken! I wouldn’t have expected fried onions, BBQ sauce, and parmesan cheese to be a good mix, but I’m glad I tried it because it was awesome! I also wouldn’t have thought a chicken breast covered in french fried onions would be Weight Watchers approved, but it is! This chicken is packed with flavor. The BBQ sauce gives it a tanginess while the onions make it nice and crunchy. On the inside, the chicken is just full of juicy goodness. The combination of various textures and flavors really goes well together in this dish. This is one Weight Watchers recipe that certainly doesn’t taste like healthy, bland meal. You’d never even know that it’s low-cal just by taste! Place BBQ sauce in a shallow bowl. In another bowl, mix pepper, crushed fried onions, and cheese. Dip chicken into BBQ sauce; then dip only one side of chicken into crushed onions. 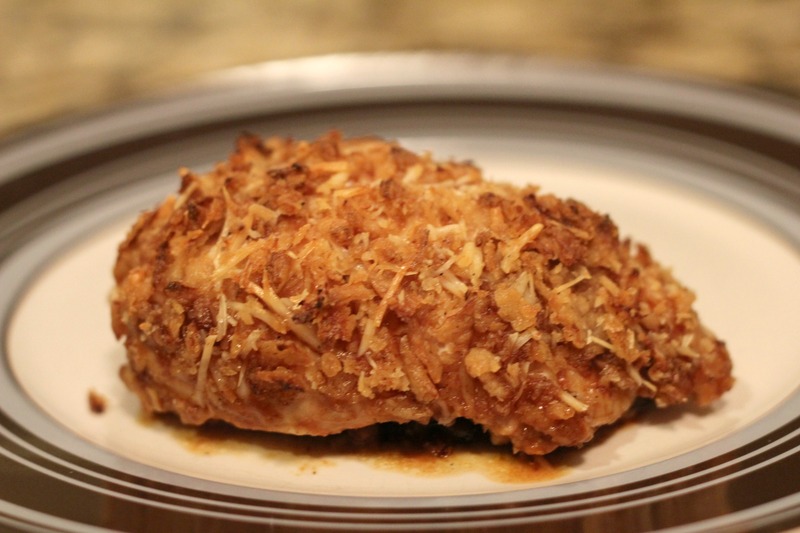 Place chicken crumb side up on a sprayed baking pan. Bake 20 – 25 min at 400. Hope you like it Kathy! French-fried onions are allowed on a diet?? The world just became a wonderfully happy place — and me an extremely happy girl! I know right? Weight Watchers is great about allowing “unhealthy” foods in healthy moderation. Sounds like the perfect way to eat!